At Crockwell we love good food, and our chefs are some of the best wedding and party caterers in the business. Because Crockwell is so unique, we are aware that our caterer has to exceed our clients’ expectations in both their expertise and their approach to planning the menu with our clients, and producing fantastic catering on the day. 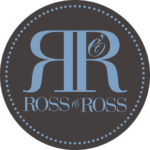 From 2020, we are excited to have teamed up with the exceptional team at Ross & Ross Events who will be our sole caterers. We are delighted to have found a caterer whose ethos and style goes hand in hand with our own, who are able to produce food of the highest standard, delivered with friendly and personal service. Ross & Ross won the Wedding Industry Awards Caterer of the Year for 2018 and have just won 2019, two years in a row. They are fast gaining a reputation for their seriously tasty wedding fare which showcases seasonal, local ingredients. Based in Chipping Norton, head chef and Director Ross Whitmill has built a team of dedicated foodies who will work closely with our couples to produce menus personal to you and your day. From elegant fine dining through to relaxed festival style feasting, their menus are both flexible and inspirational while remaining competitively priced. You can download their brochure below or if you would like to discuss your wedding catering in person, please don’t hesitate to get in touch with Victoria directly: events@rossandrossevents.co.uk / 01608 645503. Thank you and all of your staff for the excellent food and service provided at our wedding on 22nd July. We had very high expectations of the food and you certainly surpassed them. The quality of the food was a talking point among all of our guests and that is exactly what we wanted it to be. Crockwell is a licenced wedding and party premises; we can offer any combination of pay-bar, reception drinks and table wine packages. Any drinks package you offer your guests is entirely up to you.  We can run a pay bar throughout the day and evening, alternatively, you can decide to pay for all your guests drinks. More often we will put together a ‘drinks package’ of reception drinks after the ceremony, wine on the table and a toast. The bar will be open all day for guests to buy other drinks, and any drinks after the meal. We highly recommend our house wines which you will have the chance to taste at one of our open evenings. We also offer a more comprehensive list of wines and champagnes. Please see below. You may wish to provide your own wines, in which case, we charge corkage of £10.00 per bottle of wine or £13.00 per bottle of sparkling wine or champagne. The bar will be open from the time guests arrive, and will normally close at 12.30 am. It will be stocked with all the usual spririts, soft drinks etc, bottled lagers and cider. We have Peroni and Carlsberg on tap, and we can put on a barrel of real ale on request.